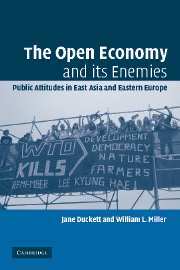 This book demonstrates that people's basic values and beliefs are changing, in ways that affect their political, sexual, economic, and religious behavior. These changes are roughly predictable because they can be interpreted on the basis of a revised version of modernization theory presented here. 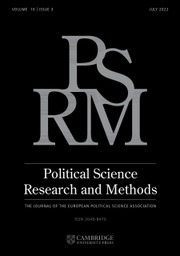 Drawing on a massive body of evidence from societies containing 85% of the world's population, the authors demonstrate that modernization is a process of human development, in which economic development triggers cultural changes that make individual autonomy, gender equality, and democracy increasingly likely. "Modernization, Cultural Change, and Democracy is the crowning achievement of three decades of research on the origins, evolution, and consequences of human values. Bold in its theorizing, pathbreaking in its methods, breathtaking in its empirical scope, and stunning in its findings, this book is one of the most important social science works ever produced on the relationship between values, development, and political regimes. 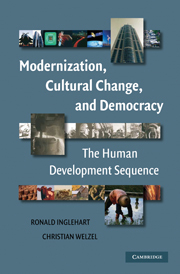 Inglehart and Welzel make a compelling case for viewing development as the expansion of human autonomy and choice, and for political freedom and democracy as the consequence of economic development and cultural change. Anyone who thinks modernization theory is dead will have to grapple with the powerful logic of their evidence and argument." 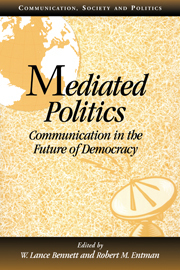 "This book is a landmark in the study of political culture and democratization. It will polarize opinion, provoking both strong acclaim and fierce critique. For this work presents powerful evidence contradicting several major schools of thought in the social sciences. It will be debated and cited now, and in years to come." 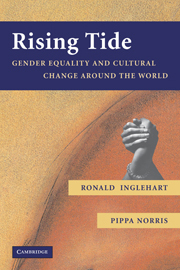 "Inglehart and Welzel's book is a tour de force. Its comprehensive theory of how social modernization shapes human development makes a major contribution to our understanding of political development. This theory is tested by a rich analysis of peopleas opinions and values from all four waves of the World Values Survey--an unprecedented social science resource that covers 85 percent of the world's population. They conclude that social modernization shapes the human condition in predictable ways, and that the cultural consequences of modernization are a major force driving democratization. Culture matters--in nurturing the conditions for democracy to develop and in shaping the workings of the democratic process." "Good books raise important questions after they have answered other important ones. 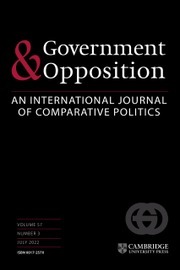 Readers interested in political culture research and its contribution to understanding democratization processes will profit greatly from this book and, in addition, they will become acquainted with a professionally managed large-scale survey research project that offers many opportunities for further research." Conclusion: an emancipative theory of democracy. Ronald Inglehart is a professor of political science and program director at the Institute for Social Research at the University of Michigan. He helped found the Euro-Barometer surveys and directs the World Values Surveys. His most recent books are Modernization and Postmodernization: Cultural, Economic and Political Change in 43 Societies (Princeton University Press, 1997), (with Pippa Norris) Rising Tide: Gender Equality in Global Perspective (Cambridge University Press, 2003), and (with Pippa Norris) Sacred and Secular: Religion and Politics Worldwide (Cambridge University Press, 2004). Author of almost 200 publications, he has been a visiting professor or scholar in France, Germany, the Netherlands, Switzerland, Japan, South Korea, Taiwan, Brazil, and Nigeria and has served as a consultant to the US State Department and the European Union. Christian Welzel is Associate Professor of Political Science at International University Bremen where he has been teaching since 2002. He holds a PhD in Political Science from the University of Potsdam. He is a two time recipient of a grant from the Institute for Social Research and has published numerous articles in or contributions to the European Journal of Political Research, Comparative Politics, Comparative Sociology, International Journal of Comparative Sociology, Political Culture and Democracy (Westview Press, 2002), among others. He has also published extensively in the German language.